Is there really anything that needs to be said about a picture that obviously speaks for itself? Well maybe that it actually took this long apparently to produce one of these things. 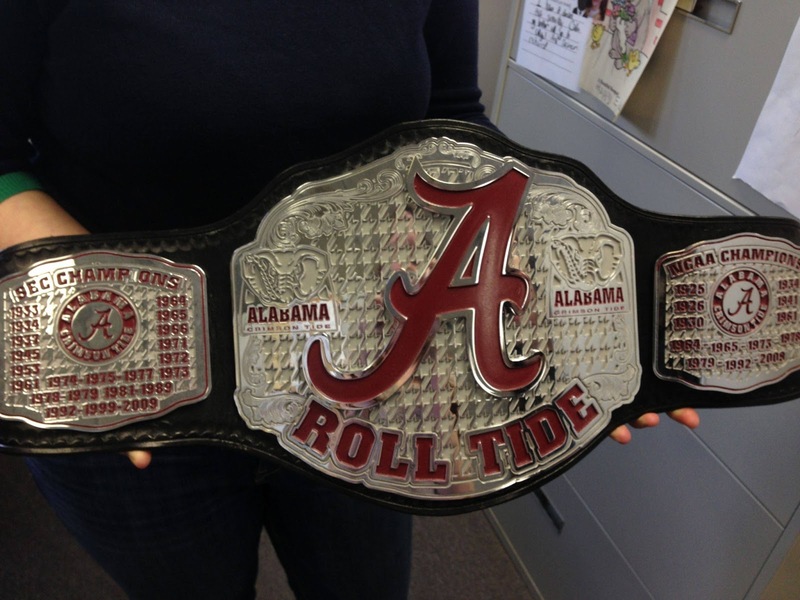 Other than that, an Alabama title belt may be the least shocking thing Alabama-related thing ever made. The worst part of this all is that this belt honoring Bama's 67 15 national titles actually looks better than the current WWE championship belt, which looks absolutely terrible with its chicken scratch WWE logo encrusted in gold and "jewels" (Seriously, WWE, that "Attitude Era" logo needs to be updated.